Learn about the baptism of Jesus Christ in this week’s Primary lesson, “Prepare Ye the Way of the Lord” Matthew 3; Mark 1; Luke 3 (Jan 28- Feb 3). Remember to give your class the opportunity to share before you dive in! It’s so much fun to hear what they are learning and remembering. Send home a sweet treat with your class or stop by the house of those that couldn’t attend your class today with a New Testament Candy Gram! The Dove candy is perfect for this week’s lesson! 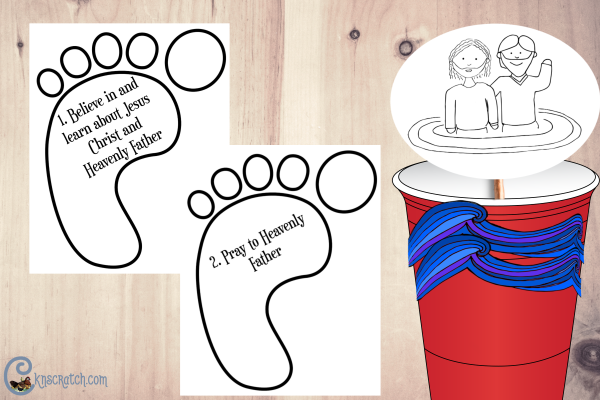 Discover the steps we can take towards baptisms with my free footprint printables. Place them around the room and play a game like musical chairs. Sing or play, “Come, Follow Me” (Hymn #116) then when you stop the music, pull a number from a hat and whoever is on that footprint gets to read it (with help from you if necessary) and tell what it means or give an example. Make a baptism cup! Wrap waves around a solo cup and cut a hole in the bottom. Attach my picture of Christ being baptized on one side with a picture of a boy or girl being baptized on the other side to a straw. Then show how we can follow the Savior’s example of being baptized by pulling up and down on the straw. Review the covenant we make at baptism with this simple baptism puzzle. Discuss how we renew our covenants with God every Sunday during sacrament. You can also use the fun Kit Kat reminder about our covenants. There is a packet about baptism from The Mormon Home that you can send home with your class if they are preparing to be baptized this year. If you have a younger class, try jazzing up my free baptism coloring pages with some textiles. You can use blue bubble wrap or sparkly foam stickers for the water, cloth scraps for the clothes, and more. Introduce the topic of the Holy Ghost by decoding the word first. Give all the pictured cards out to those in your class. Have each child say or write on the board the first letter of each word to spell, “Holy Ghost.” If you have an older class, have them say one way the Holy Ghost has helped them starting with whichever letter they have. Print out some paper dolls and wrap them in a warm blanket to discuss how the Holy Ghost helps us! You can decorate the quilt with fun mosaic stickers! You may want to use my Holy Ghost flip book included in the home study as well to discuss more about the Holy Ghost. This booklet is meant to be done by Junior Primary classes and includes pictures to glue in if they can’t write yet. Discuss some of the rolls of the Aaronic Priesthood with a matching game. Divide into two teams. 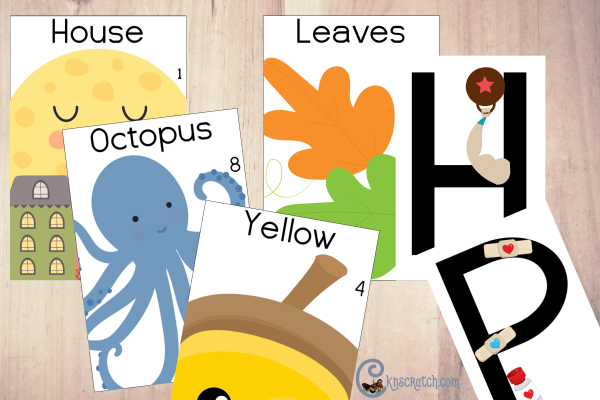 Place the Deacon, Teacher, and Priest cards on the board or a table. Divide the rest of the cards among the teams. The first team to get all their cards correct wins (they get to pick who says the closing prayer, they can draw on the board during the last 2 minutes of class, etc). 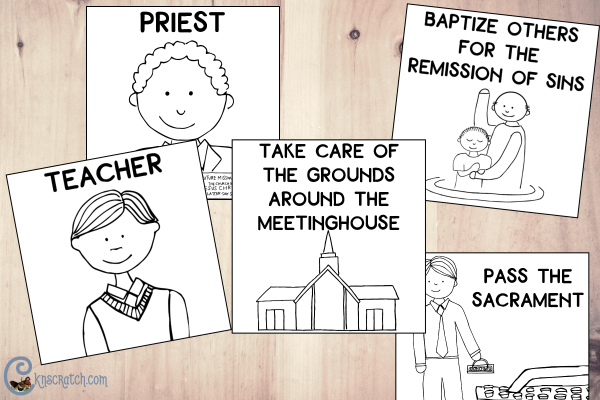 Courtney Aitken has great printables to discuss the duties of the Aaronic Priesthood and Melchizedek Priesthood. Looking for a poster to go with this week’s lesson? You’ll find one you can use in the home study handouts for this week. Looking for more ideas and helps? Check out the handouts from LDS Messages. Be sure to tell them I sent you! 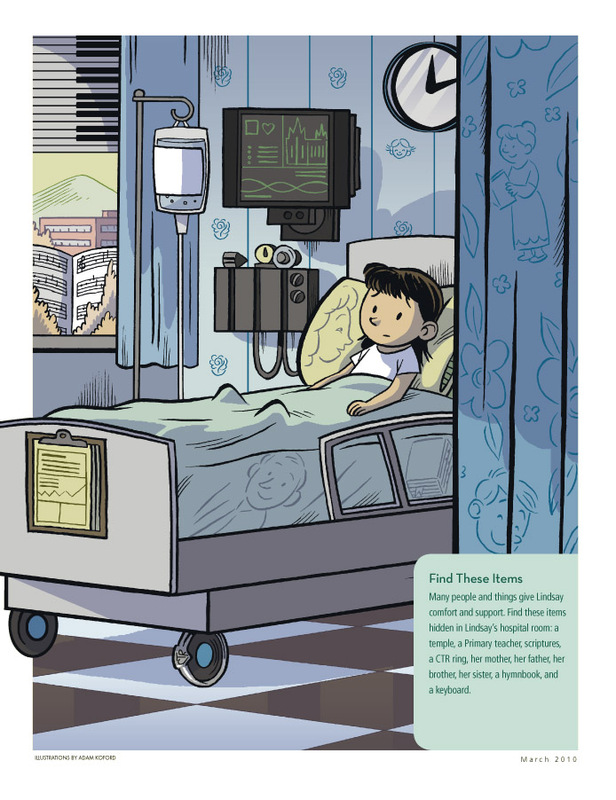 These resources are from LDS.org.